Do Sweet Potatoes Have Lectins? Lectins are a protein that is found in many different types of food. 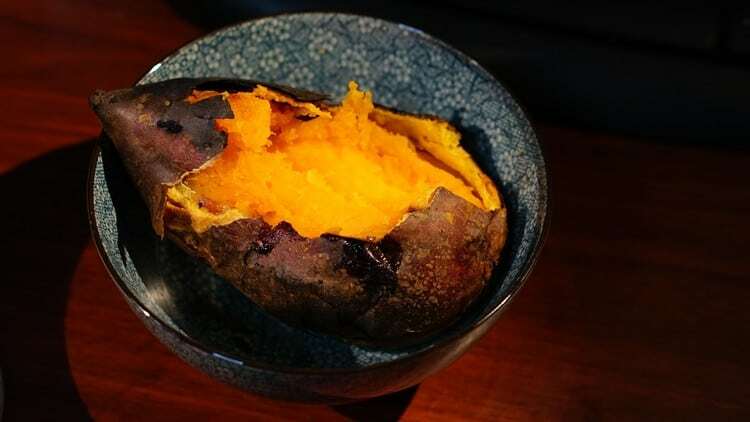 Not every food that contains lectin (or protein for that matter) will cause a negative reaction, so the question then becomes, do sweet potatoes have lectins that will cause you problems? Are Certain Foods (Secretly) Causing You To Experience All Sorts Of Negative Symptoms? Should I Avoid Eating Sweet Potatoes? Research indicates that lectins in sweet potatoes are very unlikely to cause food sensitivity reactions (which is essentially what everyone worries about when avoiding lectins). Potatoes however are different. People often wonder whether foods could be causing them an immense amount of their problems, and feel that if only they found a way to eat that they could do that worked for them, they could feel unbelievably better. Certain foods can cause all sorts of difficulty in people with gut health difficulties and can set off negative symptoms both shortly after eating, or more deviously, at a delayed point in the future, for example, 24 hours later. Besides making the person sometimes feel completely miserable or frustrating them beyond belief, this can really impact them negatively physically and so to, emotionally and mentally. If you are at a point where you are beyond frustrated and want to know the foods that removing can actually create real feel-good results for you, you can download one that has gotten some incredible results here. While sweet potatoes and potatoes are both root vegetables, potatoes are nightshades and sweet potatoes are not. Potatoes are a nightshade in the Solanaceae family. Other nightshades include peppers, tomatoes, and eggplant. Sweet potatoes, however, are in the Convolvulaceae family. Yams are commonly called sweet potatoes and vice versa, however, are a different species as well. Nightshades like potatoes are a common food sensitivity, containing lectins that often can set off unwanted negative reactions. Sweet potatoes have significantly fewer anti-nutrients and again, are not a lectin that often causes difficulties and are considered safe for a lectin avoidance diet. Yams ​are also a safe choice in a lectin-free diet. Sweet potatoes have many varieties including purple, garnet, and the common deep orange colored variety. They are great sources of Vitamin A. Vitamin A requires conversion processes within the body to become usable Vitamin A. Adding a healthy fat source to your meal with fat-soluble vitamins like Vitamin A can help increase absorption and assimilation. This is one reason that some people choose to add fats to their sweet potatoes like grass-fed butter or coconut oil. It has been said that around 3-4 grams of fat can be used to one cup of sweet potatoes for better Vitamin A absorption. Sweet potatoes also contain manganese, Vitamin B, healthy minerals, and anti-oxidants. Furthermore, they contain large amounts of potassium that rival even bananas. It's been said that one cup of sweet potatoes has twice as much potassium as a single medium-sized banana. Another benefit of sweet potatoes can be seen in a study that showed that purple sweet potatoes contain something called anthocyanins which induced Nrf2-mediated antioxidant enzymes. This was shown to help protect the liver and reduce inflammation by inhibiting nuclear factor kappa B. Ultimately, sweet potatoes are a great starch option for people on lectin avoidance diets or who are limiting grains and are very unlikely to cause negative reactions. So if you are wondering, "do sweet potatoes contain lectins? ", there is good news. The lectins in sweet potatoes are very unlikely to cause food sensitivity reactions. ​Click here to get our incredible results-getting guide to the ​lectin-free diet. This ​guide ​has gotten incredible results in very little time and can help you get out of a frustrating rut, radiating positive energy with massively increased energy, clarity, and a physical feeling of well-being.